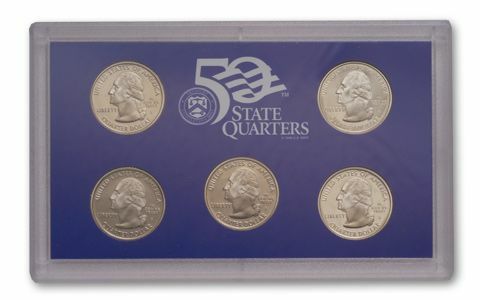 Each set contained fourteen coins: One example each of the Lincoln Cent, Jefferson Nickel, Roosevelt Dime, Kennedy Half Dollar, Sacagawea "Golden" Dollar, Montana Quarter, Washington Quarter, Idaho Quarter, Wyoming Quarter, and Utah Quarter (all Copper-Nickel Clad). 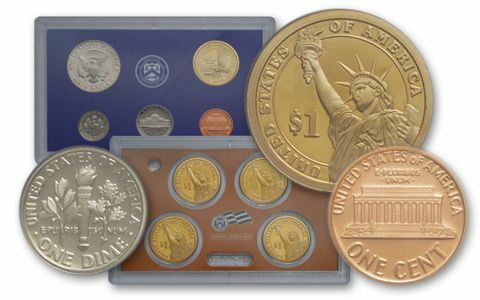 It also includes the first four Presidential Dollars: Washington, Adams, Jefferson, and Madison (Copper-Nickel Clad). 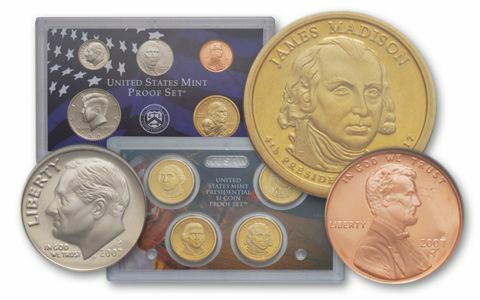 About the sets: All coins in the 2007-S Proof Set were intended to have a Cameo or Deep Cameo Finish. 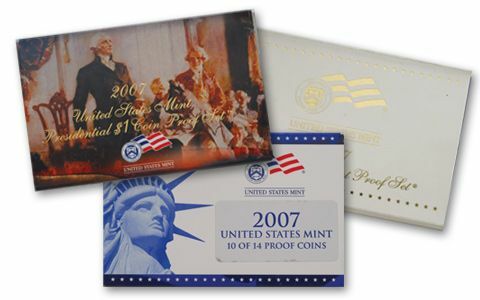 Original packaging: The 2007-S Proof Set comes in three cases. 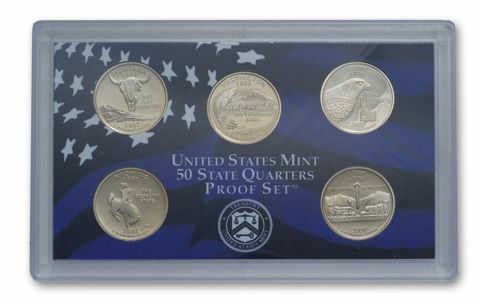 One case contains the Cent, Nickel, Dime, and Half Dollar; one contains the year's five 50 States Quarters, and the third case houses the first four Presidential Dollars issued in 2007 to start a new series. The coins are inserted into holes in a cardboard holder, and then sealed inside a two-piece, clear plastic case. Two of the holder inserts feature a blue flag design, while the Presidential Dollar holder features a full-color patriotic theme. The cases and certificates of authenticity were inserted into a white and gold card-stock box.